This plane was made in 1942 and was sent as a help to Europe after serving his time in US Airforce. It was adjusted for civil purposes in Czehoslovakia. 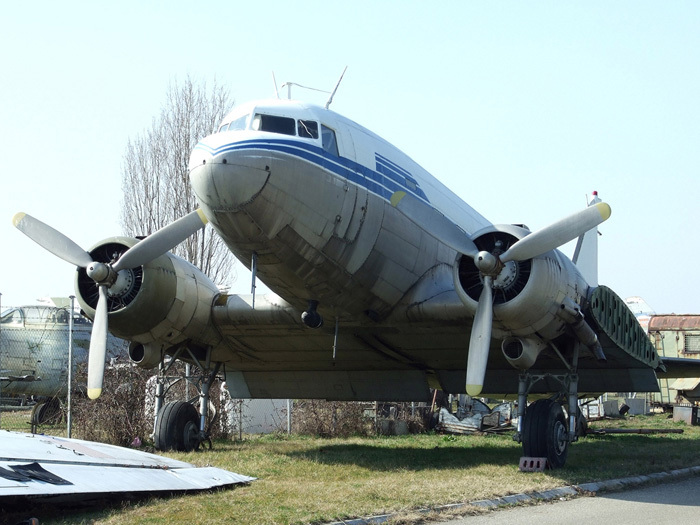 On March 4, 1947 it flyed from Czehoslovakia to Yugoslavia and became passanger plane in JAT. The first commercila flight for JAT was made on April 4, 1947 on teh route Belgarde-Ljubljana-Belgrade. The registartion mark is YU-ABB and at teh same time military registartion was 7302 – at that time we all were army. After being damaged in a storm on flight Belgarde-Sarajevo it was withdrawn on September 12, 1967. Since that time it lies in the Airforce museum in Belgarde. YU-ABB was the first plane of JAT company. This entry was posted in Air Museum and tagged Douglas DC3, JAT, YU-ABB by aircraftplanet. Bookmark the permalink.